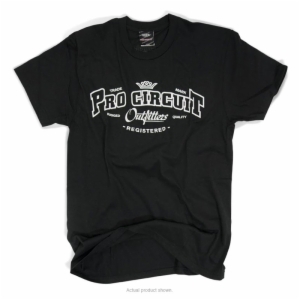 Pro Circuit Outfitters - supplying clothing with style! 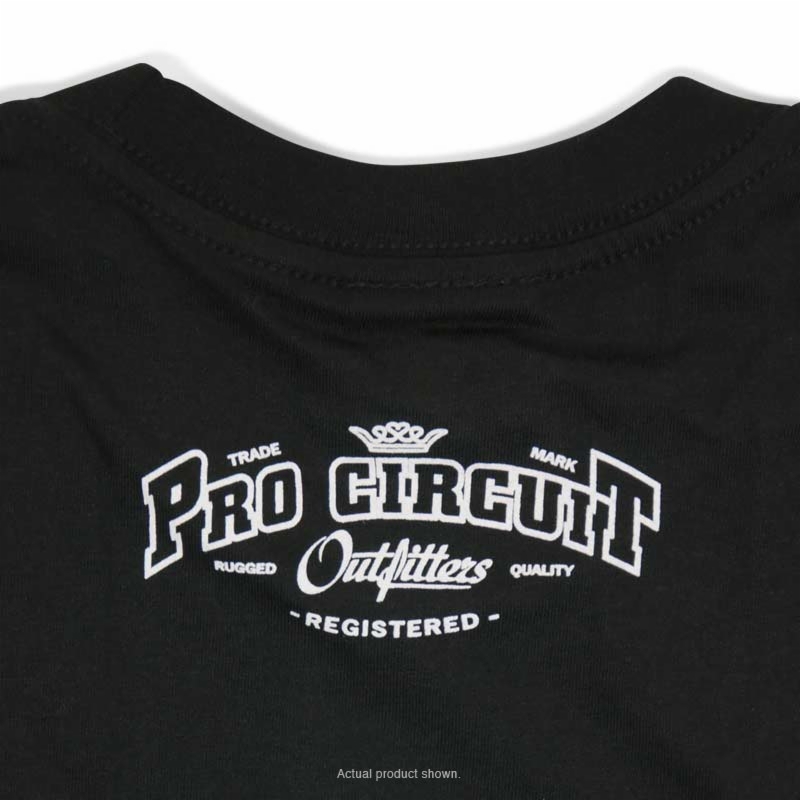 This solid black color tee bears one of our traditional Pro Circuit designs on the front and the same design on the upper back. This is a great tee, too. Long lasting, 100% cotton and durable. Pick up 1, or 2!